These are all the Sheffield Wednesday players out of contract at the end of the season - who would you keep, sell or release? 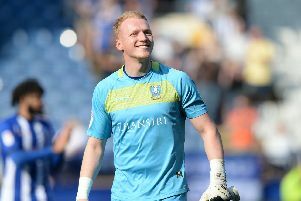 It feels like the summer transfer window has just closed, but rumours over the future of Sheffield Wednesday’s players have already begun. A number of Owls players will be out of contract at the end of the 2018/19 campaign, where they will be available to other clubs as free agents – unless they are offered new deals at the club first. Who would you sell in January, offer a new contract or release for free at the end of the season?